A desiccant air dryer uses desiccants to adsorb moisture from the compressed air to protect the end-user’s equipment and end product. 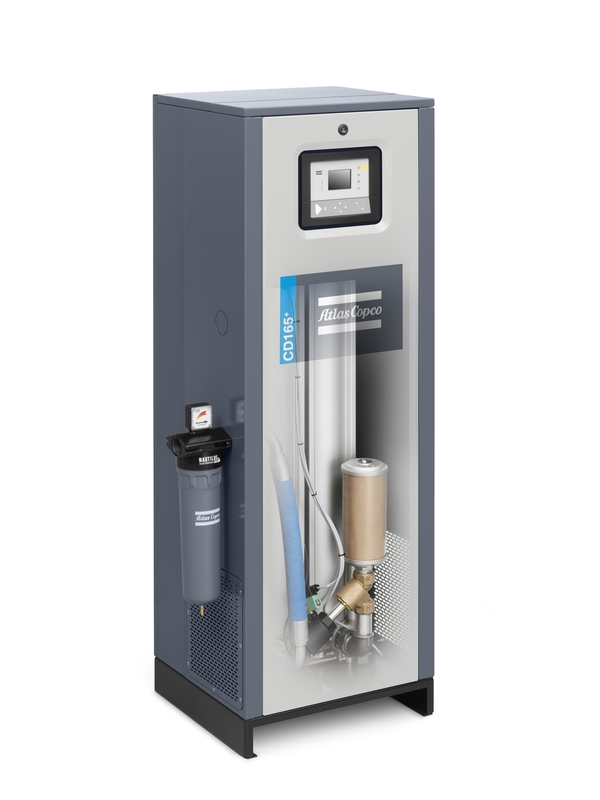 Atlas Copco’s energy efficient CD+ desiccant air dryer series is designed to deliver a constant pressure dewpoint even at full load under the most stringent of conditions. 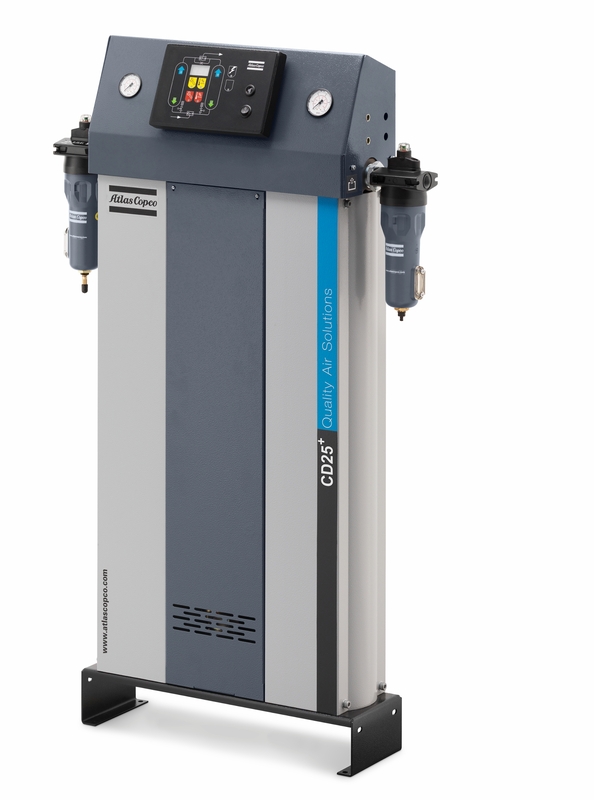 The Elektronikon® controller monitors all parameters of the desiccant air dryers to guarantee a constant pressure dewpoint down to -70°C, even at 100% load. “This ensures absolute dry air for high-stake applications that require the highest reliability 24/7,” notes Jacobs. The Elektronikon® controller is equipped with a user friendly interface and navigation system. In addition, online visualisation enables remote monitoring, allowing for anticipation of operating and maintenance needs. The robust vessels and galvanised piping with flanged connections of the CD 110+-300+ range ensures efficient regeneration while minimising leakages and keeping pressure drops low. Thanks to easily accessible internal components and the use of durable materials such as butterfly valves, installation and service are quick and easy, extending maintenance intervals and keeping production downtime to an absolute minimum. 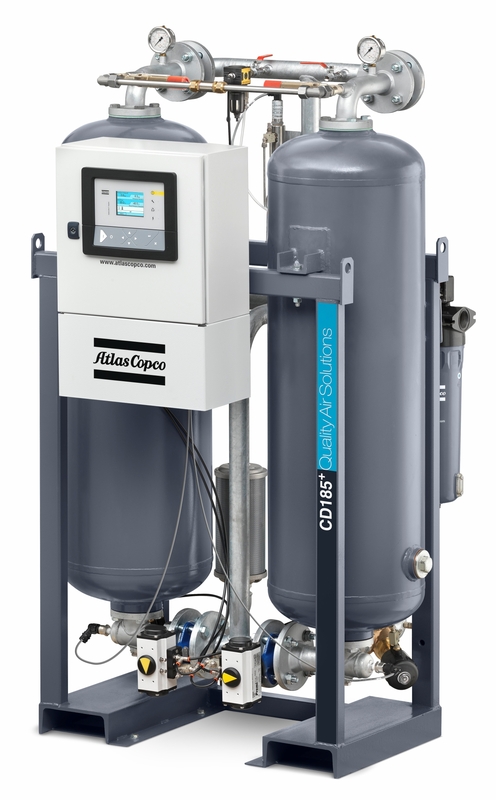 The MD, BD 100+-300+ and air and water cooled refrigerant dryer series (FD & FX) complete Atlas Copco Compressor Technique turnkey quality air dryer solutions for sustainable end-user productivity. The CD+ series boasts a small carbon footprint by minimising pressure drops & optimising the regeneration cycle to reduce energy consumption.